Do you dream of sharing your photography with the world? Wished you could wow the masses with your stellar recipes? Or simply want a little slice of the web to call your own? 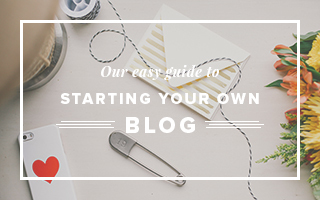 Have you always wanted to start your own blog but aren’t sure where to begin? The idea can be daunting, but it’s easier than you think! 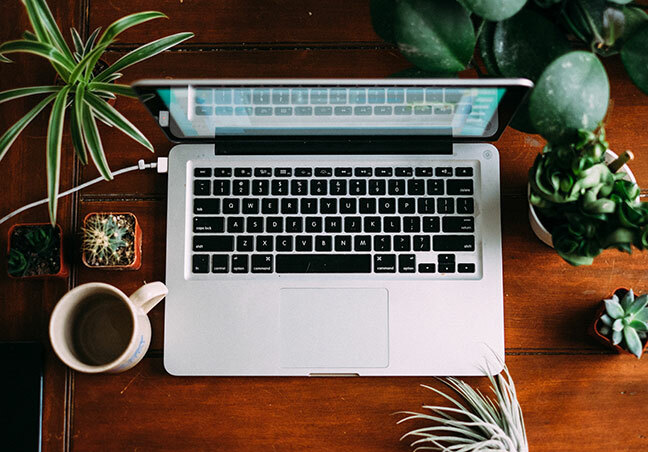 Follow these 4 basic steps to get your blog up and running in no time. Which blogging service? There are a number of services out there to help you build a website but WordPress.org is by far one of the most versatile, professional, & fast-growing options. Plus, it’s free to use! Upon choosing a domain name and ensuring that it’s not already taken by someone else, you’ll need to secure a web hosting service. Web hosting is similar to renting a storage space where you’ll keep all of your site’s files. We personally recommend the web hosting services Bluehost. We believe that Bluehost is one of the more affordable and reliable hosting options starting at just $3.95 per month. In addition, you’ll receive a great hosting package, a free domain, and other helpful tools. Note: We are fans of the Bluehost webhosting service which is why we endorse them. 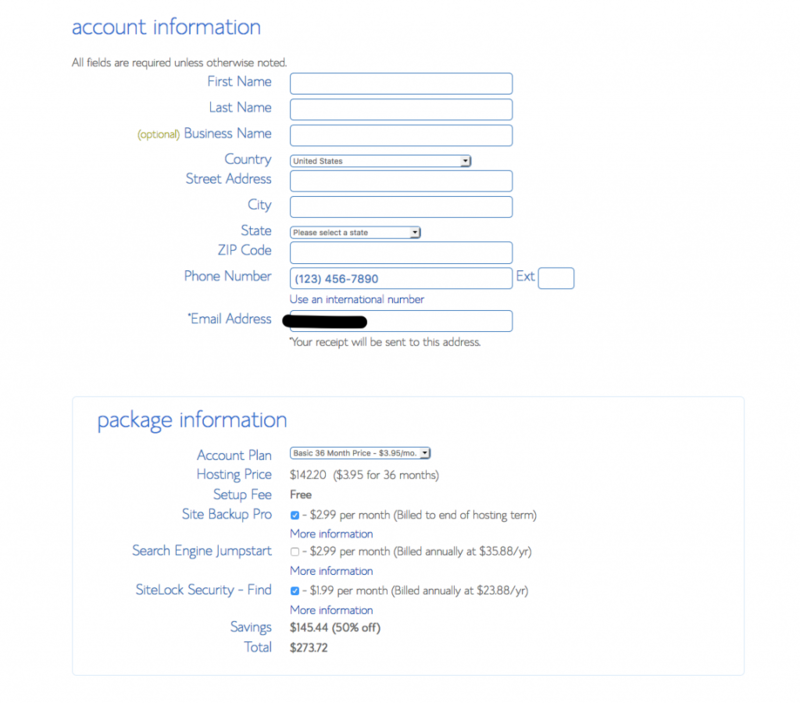 Please note that Bluehost offers an affiliate compensation for any hosting sign-ups we may help them secure. We’ll go over an example of signing up for a hosting service to show just how simple it is. 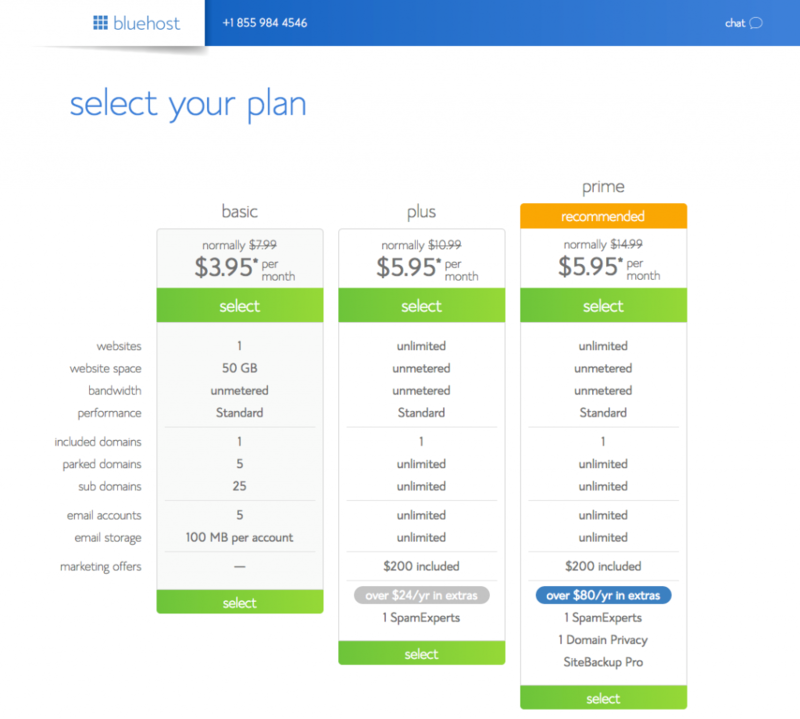 To get started with Bluehost, choose your desired hosting plan. Bluehost offers a number of hosting plans to suit your needs. The most affordable option is the “Basic” plan. To secure the lowest price, consider opting for their 36-month hosting package which locks in the best rate possible! Finalize your hosting plan and choose any optional add-ons that appeal to you. You’re all set! It’s that easy. Most webhosts will offer a “1-Click Install” tool which makes installing WordPress a piece of cake. For example, with Bluehost, once you’ve created an account with them, they’ll offer an automatic WordPress installation option. Themes are beautiful things– they not only change the aesthetic look of your website but can also add functionality beyond what the standard WordPress themes provide. Having decided what your blog will focus on, you’ll need to choose a theme that will best showcase your content. From free themes to theme marketplaces to premium subscriptions to freelance theme developers, the choices are nearly endless. Cassia: Elegant and rock-solid, Cassia’s clean lines and premium features expertly handle photography, videos, and much more with cool sophistication. Hickory: Hickory’s sleek and classic design ensure an unparalleled display experience, chock-full of options to allow you to tailor it to your specifications. 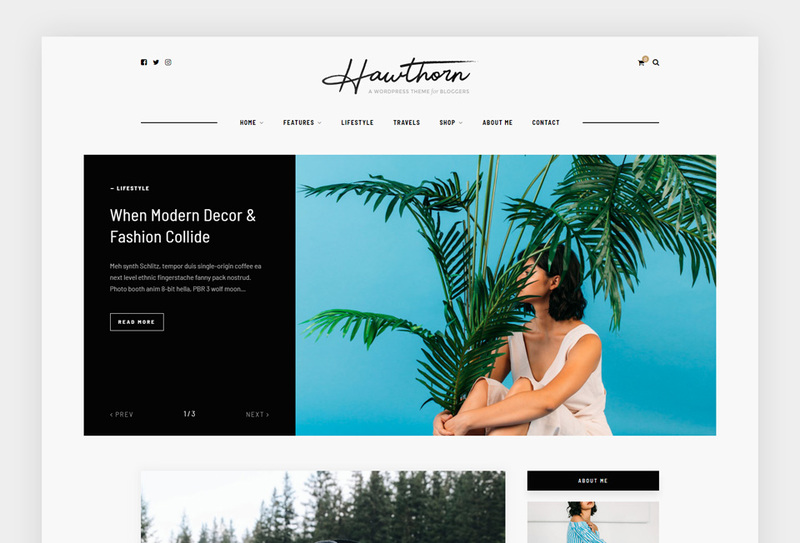 Hemlock: A clean yet visually arresting blog theme, Hemlock is a perfect partner in presenting your content with contemporary class. Florence: Florence is a bright and airy theme for those who love crisp presentation, loads of customization options, and a straight-forward blogging experience. Rosemary: Rosemary is a light & bright blog theme, tailored to showcase your content in an effortlessly timeless style. Redwood: Boasting a bold, fresh design and bountiful features, like its striking slider and promo boxes, Redwood is guaranteed to make an impact. Oleander: With clean lines, loads of lovable features, and the option to create your own web-shop, Oleander is the perfect blend of form & function. Sprout & Spoon: Whipped up with food bloggers in mind, Sprout & Spoon is packed with foodie features guaranteed to make you drool (maybe just a little)! Laurel: Pack a visual punch with Laurel’s variable Featured Image sizes and create vibrant category indexes. The perfect balance of polish and wow. 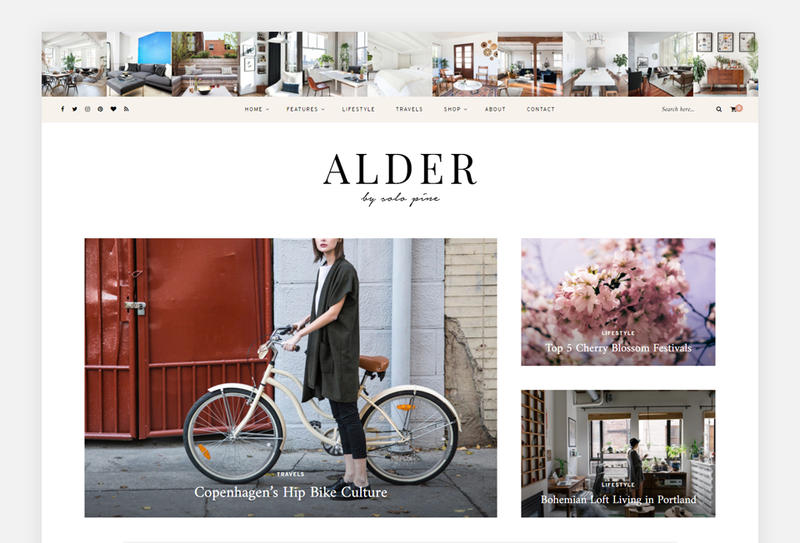 Alder: Alder’s clean & classy look lends a structured elegance to any content. You bring your vision & voice, Alder will take care of the rest! Hawthorn: Striking and versatile Hawthorn includes the most customization opportunities of any Solo Pine theme to date. All of the themes are customizable and offer a plethora of exceptional features, not to mention their responsive design and top-notch tech support guarantee. Have a theme picked out for your blog? Great! There are a number of ways to get your theme up and running in WordPress. A great resource is the official WordPress Codex. All Solo Pine themes will include detailed documentation which will help explain the step-by-step process of installing as well as the basic points of setting up your theme. And, should you have any questions regarding your Solo Pine theme, you’re always welcome to contact us via our support desk. We’ll be happy to assist! Once completed, all you need to do is fill your site with your photos, music, videos, ideas, or whatever it is you’re passionate about. Happy blogging!